In a game watched live by 89,845 people at Wembley stadium, Liverpool beat Barcelona 4-0. Liverpool started very brightly with it clear that Jürgen Klopp sent his men out to show Barcelona what his team is made of. Sadio Mane opened the scoring after a very well worked move which was instigated by Adam Lallana. Barcelona, a side who have been known for their high pressing and their quick football, had to contend with the pace of Liverpool, particularly from Mane. Naturally, the Catalan side had their chances with Arda Turan being thwarted by James Milner and Suarez had a very good opportunity snuffed out by Simon Mignolet. The most pleasing thing about the first half is that amidst the Daniel Sturridge doom and gloom, Liverpool’s front three of Mané, Coutinho and Firmino rose to the fore. If the tail end of last season was any indication of what’s to come then Liverpool won’t be relying on Sturridge to grab the goals this season. The second half started just as brightly with Jordan Henderson and Divock Origi adding to the lead and Firmino almost grabbed a fourth with only 53 minutes gone. Considering that I was expecting the scoreline to be similar except in favour of Barcelona it was quite shocking to see the scoreline tipped so definitively in Liverpool’s favour. The goal of the game definitely had to go Marko Grujic. Minutes before the end of the game the Serbian raced into the box and Lazar Markovic found him with a delightfully chipped cross. 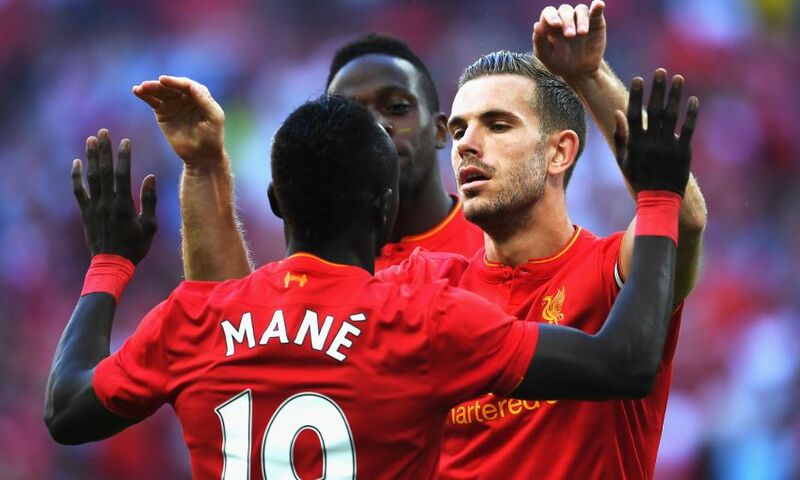 Grujic’s looping header found the back of the net to seal an emphatic 4-0 win for Liverpool. Typical of Liverpool under Klopp however, Dejan Lovren limped off towards the end after going down holding his hamstring. Hopefully he was just brought off as a precaution but knowing Liverpool’s luck he will be out for awhile.